48-year-old female, 5'3", and weighing 155 pounds underwent a buttock lift and auto-augmentation. 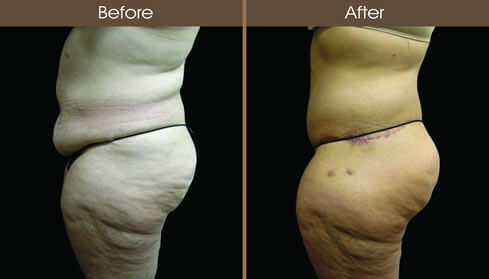 The patient was concerned with loss of volume and lack of shape in her buttocks after losing 90 pounds. She underwent a buttocks lift, buttocks auto-augmentation, and lower body lift with improved volume and shape of her buttocks.